There is widespread evidence demonstrating the relationship between the health and wellbeing of an individual and their socioeconomic position. Factors such as employment, housing, education and social support can work to strengthen or destabilise the health of people and their communities. 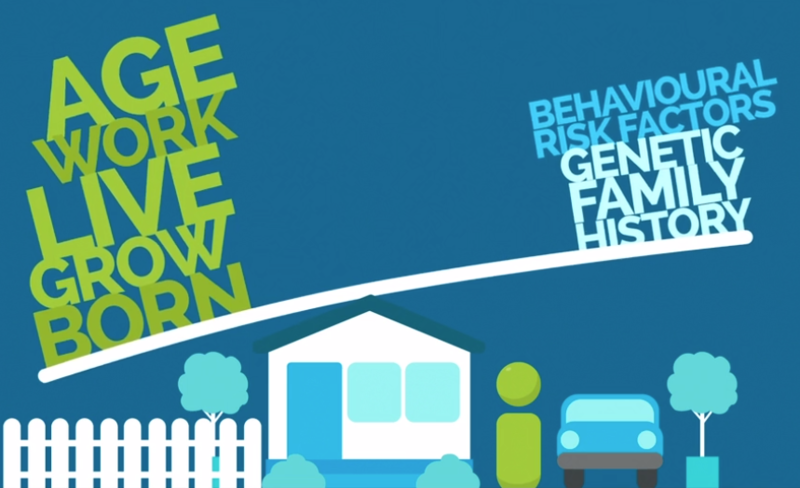 These factors are referred to as the social determinants of health. The environments in which we are born, grow, live, work and age can have stronger influences on our health than our genetic family history or behavioural risk factors. Poverty and disadvantage frequently lead to poor health outcomes, particularly in the area of chronic disease and mental illness. The prevalence of chronic conditions such as cardio vascular disease, diabetes and hypertension along with depression and anxiety is much higher in people living in challenging socio-economic circumstances. to showcase project initiatives which demonstrate how the health sector can work together with the community to tackle the social determinants of health and health inequity. This final component can encourage clinicians to view their practice through a different lens. By thinking about influences outside of health, clinicians can make an enormous difference in people’s lives.